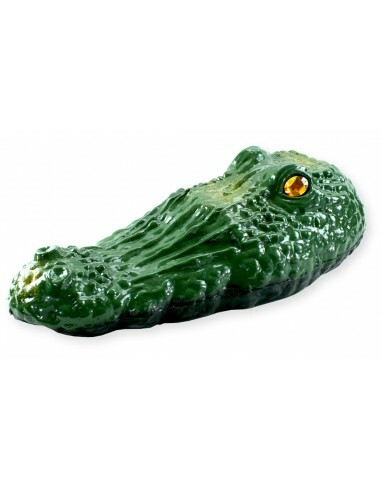 FLOATING ALLIGATOR HEAD REPLICA ! GETS RID OF...GEESE, DUCKS, CORMORANTS, EGRETS, HERON, SMALL ANIMALS AND MORE! 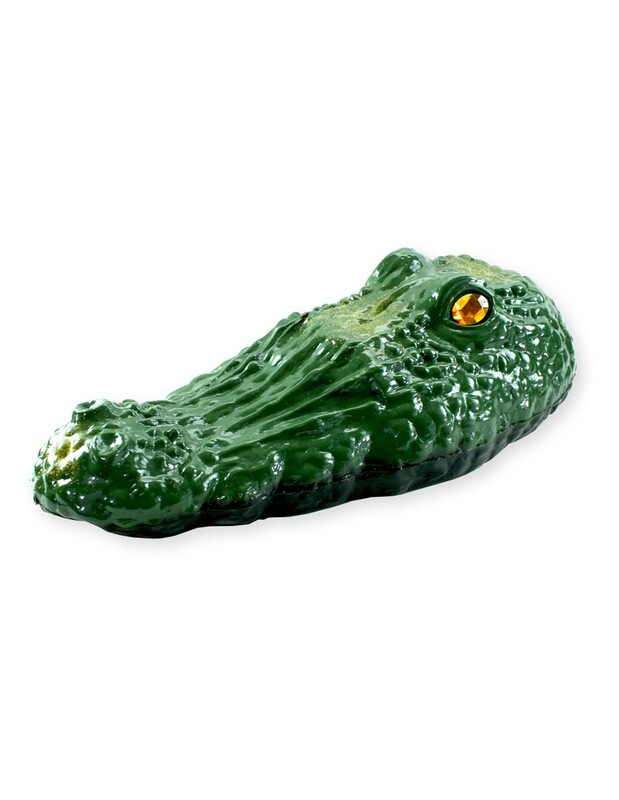 * REALISTIC, UNASSUMING AND PERMANENT - Life-sized floating replica of an alligator head, 25 threatening inches long, scares geese, ducks, fish-eating birds and small animals from the water areas they love, without spoiling the look of your property. * IT WORKS BECAUSE IT MOVES! - Stationary owls don't work. But Gator Guard moves and bounces all around the pond with the wind and water - plus, the mirrored-back eyes flash in the sun. The birds think they're being followed, so they can't acclimate to a fixed pattern. * ENVIRONMENTALLY FRIENDLY, UNIVERSAL SOLUTION - Perfect for any water area infested by birds, fish and shrimp farms, golf courses or park districts, ponds and pools, condominium, school or industrial park lakes, koi ponds, and more. Geese, Ducks, Cormorants, Egrets, Heron, Small Animals and more! "Last year we had 30 geese leaving their calling cards...We floated a Gator Guard...After three weeks we had no fowl on our property." "My members thought it was a joke to start with, but it does work. We haven't had a goose on the property since we put them in." Buy 5 and Save $25.00 !